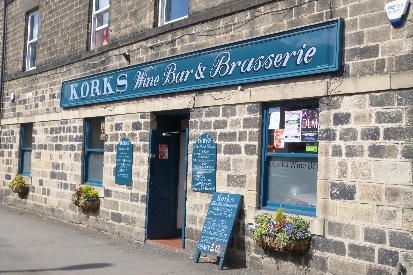 An evening visit to Otley can be a treat for the taste buds. With more than 20 eateries to choose from, you can take your pick from high-end, French-themed restaurants to classic English pub grub. Take a culinary adventure through India, Italy, Greece and Morocco with a visit to one of our restaurants. 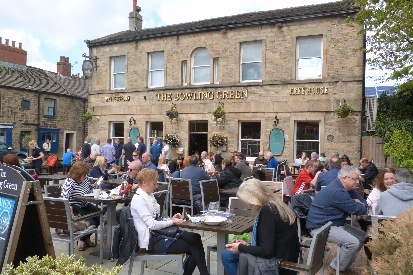 Now a sensitively extended Wetherspoons, the Bowling Green is decorated with features of Old Otley and has a large beer garden. Food served from breakfast to 11:00pm. Buon Apps brings you the authentic taste of Italy in the heart of Yorkshire. Serving regional specialities from rustic pasta dishes to sophisticated classic meat dishes. Buon Apps is one of Yorkshire’s best-kept secrets and after having been hidden away in the beautifully restored engine room of a Victorian Mill just outside town it has now moved to its new stunning Riverside location..
Set above the market town of Otley, you will find unspoiled woodlands, secluded accommodation and glorious fishing lakes at the Chevin Country Park Hotel. With 49 attractively decorated hotel rooms and log cabins, you will feel a million miles away from it all. However, you will also find bustling markets, fine restaurants, bars, galleries and shopping just minutes away. 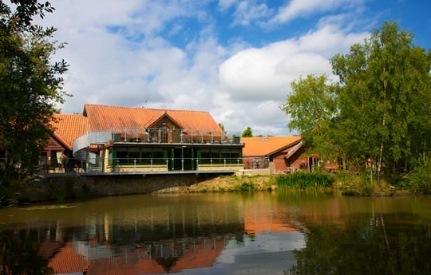 Eating at the beautifully extended lakeside restaurant is a must for all visitors. To add further relaxation and enjoyment to your visit, why not try one of the many treatments available at the hotel’s own spa? 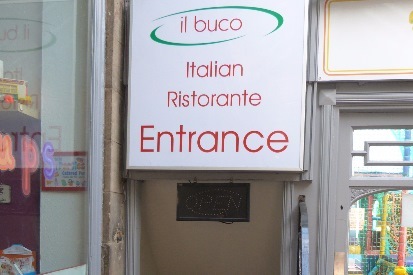 You can always be sure of a warm welcome and fantastic Italian cuisine when you visit Il Buco, and we are sure you’ll want to return again and again. Whether it’s a large group or an intimate meal for two, Il Buco offers the perfect venue for the occasion. So, sit back, relax and let us make your experience perfect. 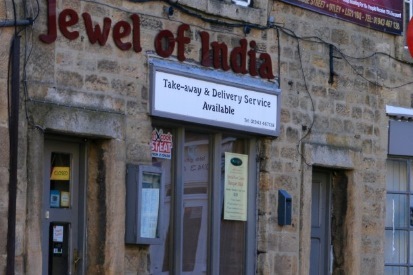 The Jewel of India first opened its doors in 1982 and since then we′ve picked up several accolades, most recently the Quality Food Online Best Award for Customer Excellence. 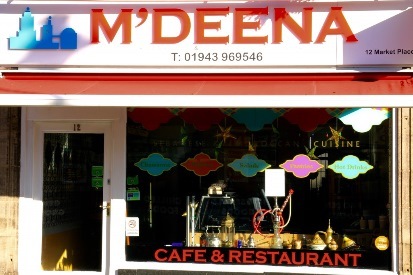 Eat Lebanese and Moroccan cuisine in the upstairs restaurant which takes you to the Middle East. Bring your own drink (alcoholic) as the restaurant is unlicensed. Booking for weekend dining is recommended. Bring your own drink (alcoholic), soft drinks sold in the restaurant, booking advisable on Friday and Saturday. 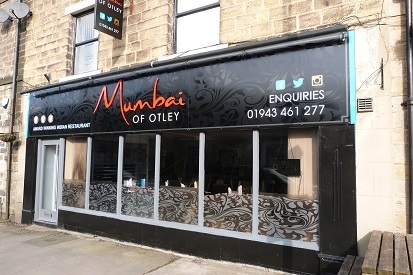 Otley’s newest restaurant and bar named after the town’s 7th Century Old English name serving locally sourced food, including organic vegetables, in an exciting new British menu, and now voted Otley’s best food & drink in 2017. 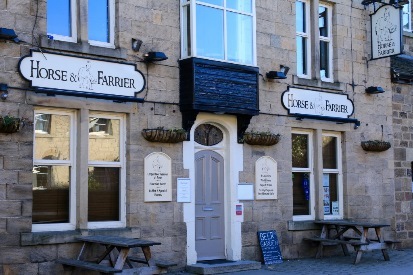 Owned by Laura Collier with head chef Chris Stanfield who has an impressive CV. The rest of the Otta’s family are all local folk. We have a fantastic team of friendly, enthusiastic staff and we all look forward to meeting you and becoming a part of the town. 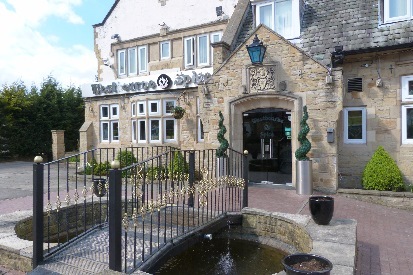 We are a bar and restaurant so you are most welcome to pop in for a drink or 5 course dinner and everything in between. 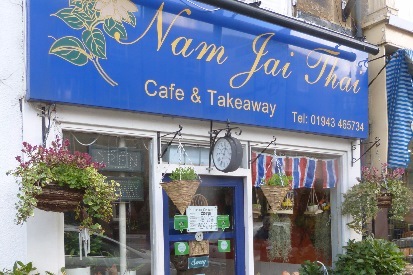 We want you to be excited about our food so our menu includes ingredients you wouldn’t normally associate with an Indian restaurant such as venison, ostrich, and duck, and we also have an extensive vegetarian range. 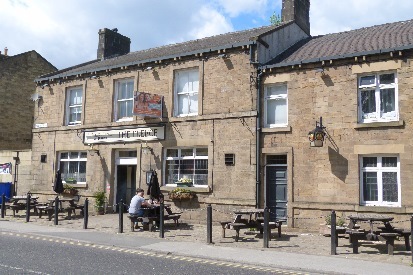 As well as it being a town centre pub, there are 11 letting bedrooms available at the Black Horse. 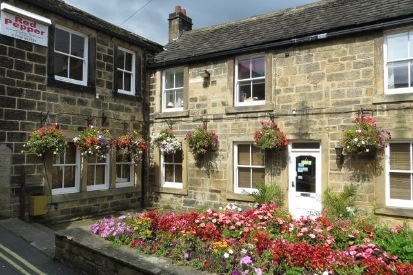 All are en-suite and tastefully decorated; comfortable surroundings complementing the period features of this historic coaching inn. 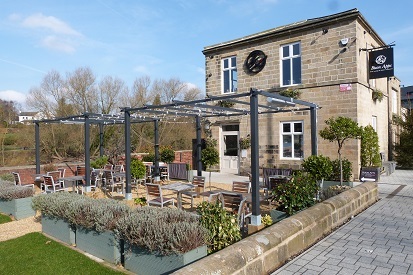 Beautifully restored pub with stunning riverside garden. Serves food lunchtime and evening. Check food service times, they vary…. 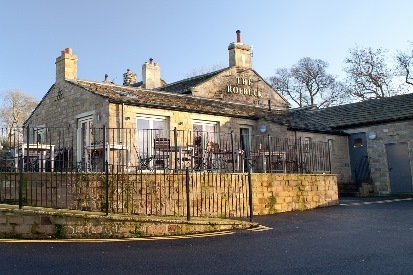 The Horse and Farrier is now one of Otley’s finest experiences, offering sumptuous food, excellent hand pulled cask ales and luxurious accommodation. There are four letting rooms available, all with king-sized beds, en-suite shower rooms and all the mod cons, everything you would expect in a modern Bed & Breakfast. 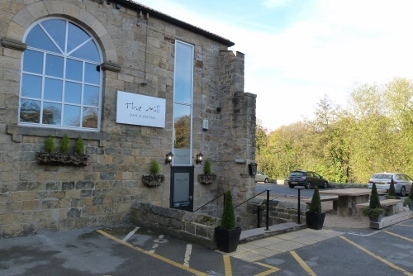 The Mill Bar and Bistro is an independently owned restaurant set in the iconic and beautiful former textile mill along the river Wharfe in the Wharfebank Business Center. We have been sympathetic to the original features of the building and have (we think) brought modern fixtures and fittings to coincide with the natural beauty of the building. As an independent restaurant we have the freedom to be intrinsically selective about who we use to supply our ingredients. Only the freshest local produce will do which enables our chefs to design dishes to follow the four seasons of the year. A bit of History – Fierce competition with The Traveller’s Inn a few doors up led to their nicknames- the ‘Spite’ and ‘Malice’.That name stuck, and The Spite only went back to its true name in 2012, along with a renovation and the addition of a large dining area.In the 1870’s, the owner of The Roebuck Inn (as it was then) had a good passing trade with the Washburn reservoir navvies. 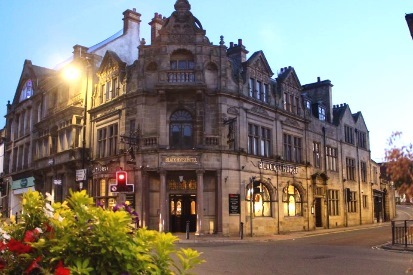 Taking home within The Old Grammar School, Otley Stew & Oyster takes full advantage of the features of this stunning building situated in the heart of the town. With 21 draught lines, Stew & Oyster Otley is guaranteed to have something that you will enjoy! Don’t fancy beer? Then how does a spirit collection of over 50 different amazing products, extensive wine lists and over 50 world beers grab you? Alternatively you could just grab a coffee (with a free brownie!!) and a newspaper and watch the world go by. Quiz night Thursday 8pm, Gin tasting 1st and 3rd Tuesday of the month, Mother and Toddler Tuesday at 10 am. To the accompaniment of Greek music, and a great atmosphere, while away the evening reliving old dreams of past visits, or get a flavour of somewhere you haven’t been……..yet! The Dales Café, owned by a Cypriot gentleman turns into a Greek Restaurant on a Saturday night with everything cooked like at home. Cavernous Indian Restaurant just out of town which used to be a pub, but prides itself on good service and good food.